Who you wit? Will you be cheering for the New England Patriots or Philadelphia Eagles? It’s almost time to celebrate Superbowl 52 the biggest football game of the year! Even if you don’t like to watch football you can enjoy the yummy food, family, friends, and commercials! Let me help you make the right call for the game with adding walking tacos to your game day spread! I was introduced to walking tacos in High School and have been a fan ever since. 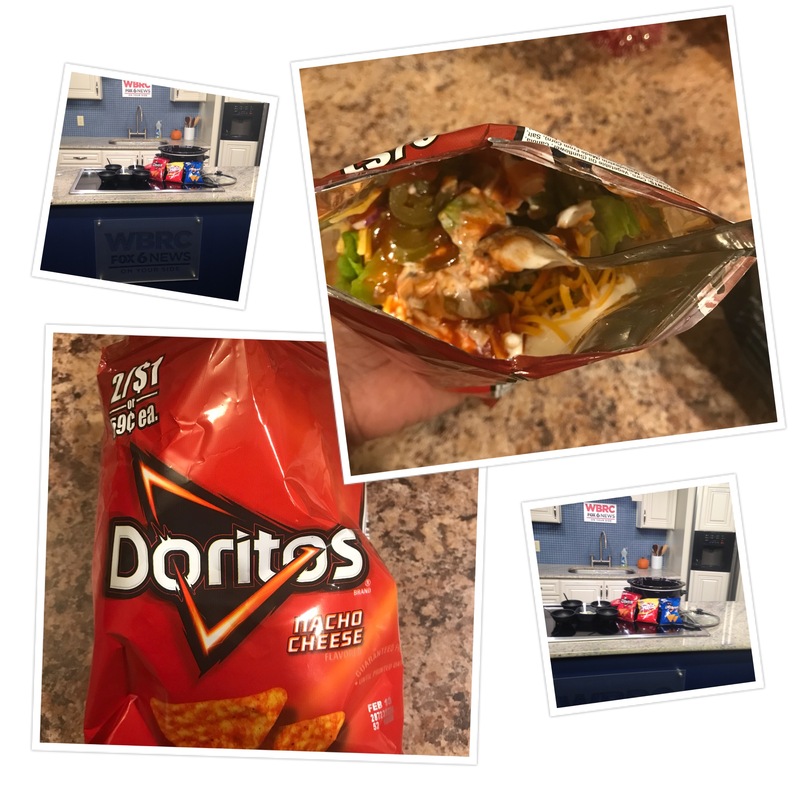 Walking Tacos are so fun and easy to make!! It’s basically a taco salad in a bag. 1 package of taco seasoning (McCormick, Taco Bell, etc) I love McCormick seasonings!!! Cook ground turkey or beef in a skillet until brown, drain grease from meat. Add taco seasoning and cook according to directions on the package. Woooooow! This takes me waaaaaay back! You went straight Old School with this one! I can’t wait to walk down memory lane and make this myself at home instead of buying it from the liquor store! This is right on time for game day! Yes, perfect for a game day menu!!! Simple and fun! Thank you! This would be the perfect recipe for my youngest brother who is a teenager! It’s so easy to whip together and sounds really good! Yes, simple,easy, and fun! Enjoy! Thank you! Simple and fun for game day! Woooow!!! I would have never thought of this on my own lol brilliant idea!! Yes, it is the cutest idea!! !